Sarah Winters of agent TWM is guiding a price in excess of €1.25m for the anchor supermarket unit at Tuam Shopping Centre in Co Galway. The property, which is for sale on the instructions of Ken Tyrell of PwC, extends to 1,880 sq m (20,236 sq ft) at ground-floor level with ancillary first-floor space. 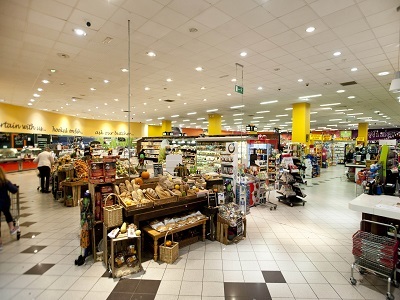 It is occupied by the well-established, Galway-based supermarket chain Joyce’s Supermarkets under a 10-year lease from November 1, 2010, and is subject to a passing rent of €150,000 per annum. Based on the subject property’s asking price, the prospective purchaser can expect to secure a net initial yield of 11.06pc (assuming standard purchaser costs of 8.46pc). Tuam Shopping Centre is an established centre within Tuam, easily accessible to Galway City located just off the M17/ M18 Limerick-Sligo Road. The shopping centre was constructed by Tiernan Properties in 2005 and comprises 11 retail units, 15 two-bedroom apartments and a 400-space, multi-storey car park. The supermarket, which forms the subject of this sale, is complemented by a strong mix of retailers within the centre to include Elvery’s Intersport, Born Clothing, Born Mens, Icon Hair & Beauty and Medwell Allcare. Joyce’s is an independent family-run business which was first established in 1951 and has expanded in recent years now operating eight shops within the Galway area, and employing approximately 360 people throughout their stores. The tenant is not affected by this sale. Selling agent Sarah Winters says she expects to see a good level of interest in the property from investors.